This Tour begins at Paris (CDG) Airport and ends at Munich (MUC) Airport. The Tour rate does not include roundtrip airfare. You can plan to arrive Paris a few days early, and/or you can also add some time to the end of your Tour. Alpventures® World War II Tours are not affiliated, endorsed, nor sponsored by Mr. Robert M. Edsel, or the Monuments Men Foundation. Furthermore, Alpventures® World War II Tours are in no way affiliated with any movie or television production company, their subsidiaries or studios. Alpventures® exciting Men, Masterpieces, and Monuments Tour focuses on the men and women of the U.S. Armys MFAA (Monuments, Fine Arts, and Archives) section in France, Germany and Austria during World War II. These men and women were tasked by FDR to locate, safeguard, and restitute many thousands of pieces of stolen artwork in Nazi-occupied Europe. From the world-famous Louvre museum in Paris, to the Altaussee Salt Mine located deep in the Austrian Alps, our 12-day Men, Masterpieces, and Monuments Tour is sure not to disappoint! Discover the history of these brave men and women as we follow their journey across the battlefields of France, Germany and Austria. 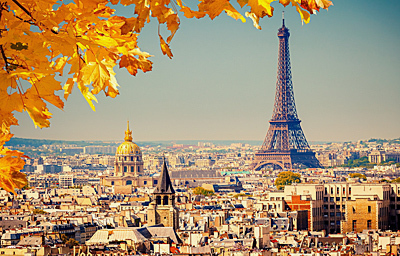 Enjoy a City Tour of Paris, including a stop at the Jeu de Paume Museum and time at the Louvre. Hear the story of the D-Day landings and relax with a scenic boat cruise along the Seine River. We enter Germany the way the soldiers did in 1944, with a Battlefield Tour of the Huertgen Forest and the fortress-city of Aachen. Visit the Aachen Cathedral, and see the Domschatzkammer (Cathedral Treasure Chamber), which boasts Germanys top collection of sculpture from the 12th to the 16th Century. We continue with a stop in Cologne, where you will visit the impressive Cologne Cathedral and see the Hohenzollern Bridge over the Rhine River, and we will show you where the treasures of the Aachen Cathedral were hidden in Siegen. A highlight of the trip will be our Private Tour of the Merkers Salt Mine, where during the war, the Nazi Regime stashed away billions in gold bars; among other treasures. Our fascinating Men, Masterpieces, and Monuments Tour also includes two nights in Nuremberg, Germany, where we will explore the Third Reichs most important art bunker, and tour the former Nazi Party Rally Grounds. The annual propaganda spectacles were used as powerful tools of mass manipulation, and we will discuss the effects of German propaganda and the Holocaust during our visit to the Nuremberg Documentation Center. We also make a stop at the infamous Nuremberg Courthouse, where the War Crimes Trials were held after World War II. Alpventures® Men, Masterpieces, and Monuments Tour tells you the true story of these unlikely Heroes. Our unique Tour combines some of the top museums, historical sites, and beautiful scenery in Europe. Over half of this action-packed World War II Tour takes place in Bavaria, southern Germany; where the men and women of the MFAA discovered approximately 1,500 secret art repositories alone. 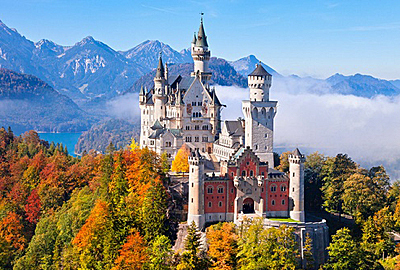 After Nuremberg, we continue south to Fuessen at the foot of the Bavarian Alps and take a Tour of the famous Neuschwanstein Castle. You will also get to discover Hitlers mountain headquarters at Obersalzberg near the resort town of Berchtesgaden. 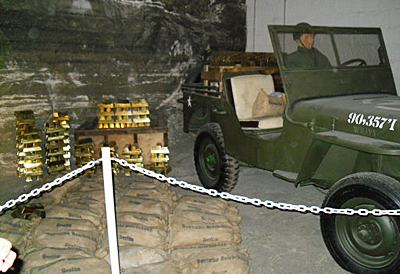 Get a Private Tour of the secret headquarters, before visiting the impressive Obersalzberg Documentation Center and wartime bunker system. 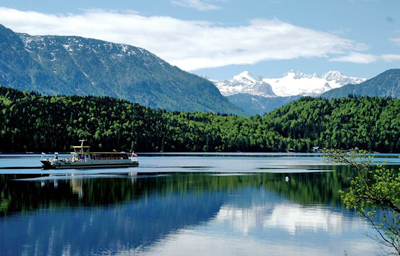 We will finish our Men, Masterpieces, and Monuments Tour with a scenic drive through the Austrian Alps to Altaussee, where we will enjoy a Private Tour of the historic Altaussee Salt Mine and have a relaxing boat ride on the majestic Lake Altaussee. We spend our last evening enjoying our farewell dinner together in Berchtesgaden, overlooking the spectacular alpine landscape. "The Tour was everything we could have asked for, and more. The hotels and meals were top notch. I think the thing I appreciate the most, is your professional demeanor and delivery. Thanks again for a great Tour and a great memory..."
Breakfast and check out early this morning. Transfer to Munich Airport for return flights home. "Thanks for the great trip, and great time! We enjoyed your history lessons and enlightening us on the culture of the countries we visited, and of course all the things about World War II history that we didnt know or understand. It was great traveling with you!" Tour prices are per person, based on double occupancy. The Tour price does not include roundtrip airfare to Europe. A completed and signed Tour Reservation Form and a refundable $400 deposit (per person) are required to book Tours. You can book this Tour online, by phone or by mail. (To book online: scroll to the top of this page and click the Book Tour button). You change adjust the quantity of people on our secure payment pages with PayPal. Payments are made to: ALPVENTURES. Payment in full is due 90 days prior to Tour departure, and must be paid in US Dollars by check. Credit cards are accepted for the deposit only; and cannot be accepted for final payment. Although Tour cancellations are not anticipated, Alpventures® reserves the right to cancel Tours for any reason, prior to Tour departure date, in which case the entire payment will be refunded without further obligation on Alpventures® part. In the case of Tour Participant cancellation, a full refund will be granted up to 30 days prior to Tour departure. A cancellation fee of 20% of the Tour price will be charged for cancellations between 30 and 20 days prior to departure date and 40% between 20 and 10 days prior to departure. No refunds will be honored within 10 days of Tour departure date.